The mission of the Kimberly L. Cates Memorial Scholarship is to inspire young people to follow their passion for caring for others and to support them as they begin their post-secondary studies in the field of medicine. On October 4, 2009, Kim was murdered during a home invasion perpetrated by four local men. But Kim's incredible spirit is very much alive inspiring compassion in others. It is in honor of Kim's spirit that the Kimberly L. Cates Memorial Scholarship was established. 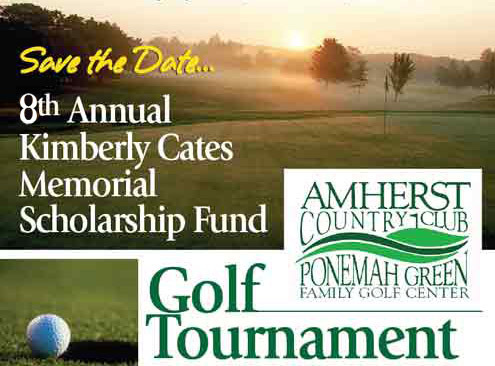 Please note Kimberly L. Cates Memorial Scholarship on the memo line. I would like to thank everyone for your support of the 8th Annual Kim Cates Memorial Scholarship Golf Tournament in October. It was a great success, and I hope everyone enjoyed the day! Thanks to your generosity and that of our Corporate Sponsors BAE Systems and Edward Jones, we were able to raise a little more than $27,000 this year! The 19 students we supported this year certainly appreciate your continued support. We hope to see you again next year, and thanks again!